Damian Field RIBA Chartered Architect has over 20 years experience and is the principal director of Damian Field Architects Limited. Damian’s architectural background has enabled him to work on a wide range of projects including domestic, commercial & mixed use developments around the UK, from the most modest house extension to multi-million pound projects. He has much experience in the regeneration and refurbishment of buildings as well as designing and overseeing the building of bespoke house designs. Damian has also worked within the education and health sectors. His clients comprise private individuals, developers, schools and charities. 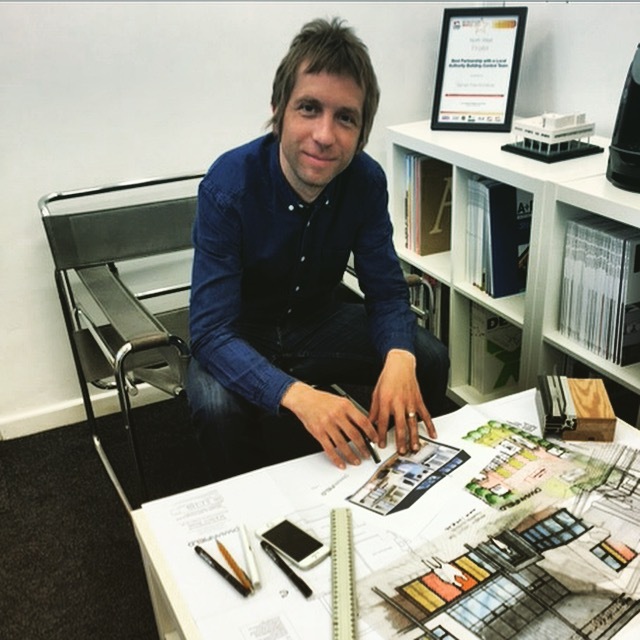 Damian’s previous employment comprised over 15 years at FSP Architects & Planners both in London and Liverpool, as Architect & Director. This helped him to gain experience on a wide range of commercial projects including historically significant Grade 1 Listed Buildings whilst carrying out private commissions for domestic clients. Due to the high demand of private commissions the practice was formed in 2012, becoming a limited company in 2016. Damian works alongside the other company director, Jessie Field, who deals with the daily running of the practice.